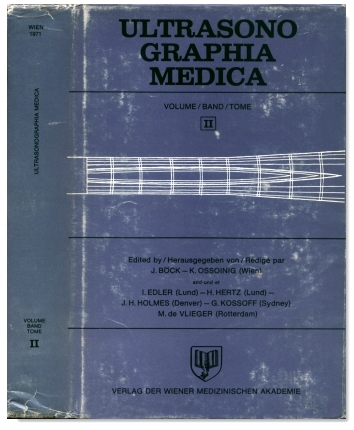 Cover of the Proceedings of the First world congress on Ultrasonic diagnosis in Medicine, Vienna, Austria, 1969. The publication is in 3 volumes. Volume 3 covered internal medicine, Obstetrics and Gynaecology and cardiology. 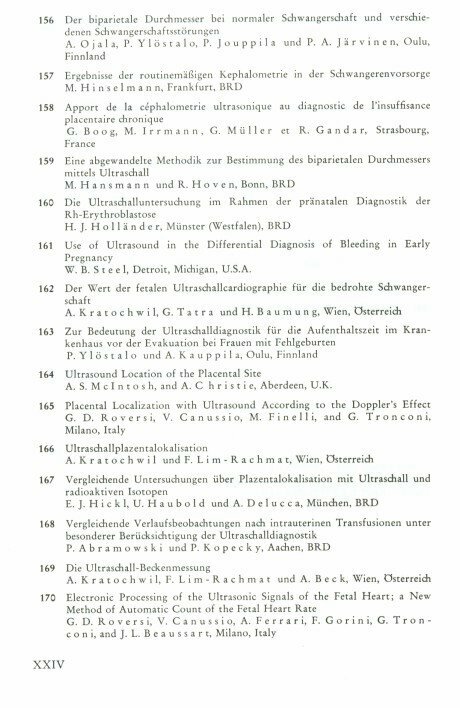 Below: Table of Contents of the section of ultrasound in Obstetrics and Gynaecology. Note the names of the early pioneering investigators. Cephalometry and placental localization were the popular subjects of many of the presentations. Note also a number of investigators who travelled from the United States and Japan.